Throughout her life, Rachel Cullen followed a simple yet effective route straight to mental health misery. Suffering from bipolar disorder, and hungry for approval at any price, she settled for flunked relationships, an ill-fitting career, and poor health to match. Whilst mindlessly seeking a utopian vision of 'normality' that she was mis-sold and so desperate to achieve, the solution seemed increasingly illusive. Stuck in this endless cycle of disappointment with her life, and not knowing how to handle the strain of her mental illness, she put on a pair of old trainers. She'd never been able to think of herself as a 'runner', and the first time she forced herself out the door, she knew it would hurt. Everywhere. 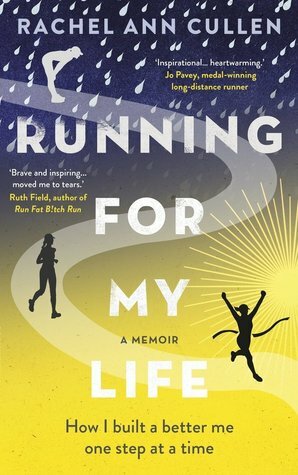 She just didn't realise how much it would heal her, too.Interspersed with Rachel's real diary entries, from tortuous teen years to eventually running the London Marathon, Running for my Life will make you laugh, cry and question whether you can really outrun your demons. Running for my Life is a rich, colourful and brutally honest account of one women's fight to beat her mental health demons. Written with candid details and dark humour this book is a journey about a quest to live life in the happiest and healthiest way possible. 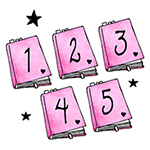 Chronicling all the ups and downs, the good, the bad and the downright ugly along the way. With fantastic ditties remembering fashion disasters from her youth to the very same in winter races, the author, Rachel Cullen, lays bare the realities that subsequently have taken her on a long battle with mental health. A fight against herself. We read about what she thinks her life should be, to the realisation; life is never like what you think it is going to be. Whether in love or careers and that sometimes you just have to accept your imperfections. What I found interesting with this life journey was Rachel seemingly did everything 'right'. But, when she thought about it - right for who? Not herself. And she had to find the strength to admit she had come to this realisation - which thankfully, she did. The constant throughout the ever changing life Rachel? Running. Of course. In this, she found her solace, her soul-mate, her companion. Even when she felt it had all gone wrong (which in several incidences, it had). Whatever happened with running she always found herself going back for more and in doing so realised she had so many more capabilities and more strength than she ever knew. And thus, some confidence was born, confidence in herself, in her worth. And once you have that, life becomes that little bit easier and at some point you feel you can reflect and in this case, a book was born.